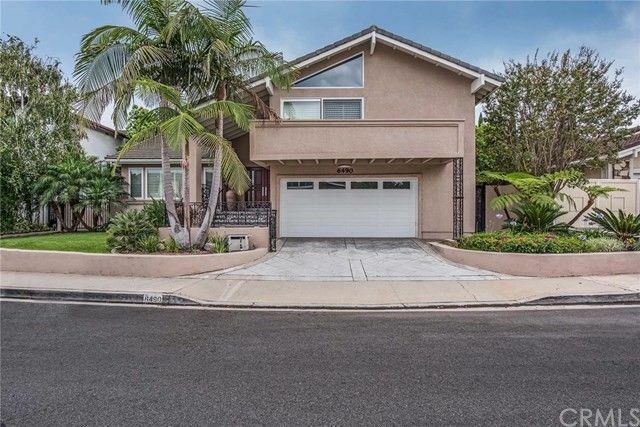 Located in the exclusive Guard gated community of Bixby Hill this entertainers delight with a gorgeous backyard with pool and spa is extensively remodeled with the finest upgrades. Highlights includes maple wood and travertine floors(w/floor warmer), newer dual paned windows≠wer solid core interior doors,cathedral vaulted ceilings w/large picture windows throughout that provide a light and bright ambiance. The gourmet kitchen boasts 6 burner gas stove by Thermador, granite island top w/2nd sink, double dishwasher drawer's by Fisher Paykel,double convection ovens,double roll out recycled&refuse containers, custom cabinetry throughout,recessed area for flat screen TV in kitchen,surround sound,full sized wine refrigerator, interior aqua link controls for temp and timer control of pool, spa and waterfalls and the pool has ambient solar heat which keeps the temperature perfect year round very efficiently. Other home enhancements include: beveled glass custom double front doors, interior dimmable lighting, more surround sound in family room and entertainers rear yard, expanded master walk in shower w/stunning custom stone work, master double vanities, custom fireplace hearth, custom slider shutters, tank less hot water heater, added flourescents under kitchen cabinetry, newer tile roof, manicured landscape with lawn and citrus trees, gorgeous hardscape, freshly painted exterior, stamped concrete driveway, custom interior and exterior wrought iron railings and more!